Halloween is just around the corner, and with all the fuss kids make about pumpkin carving, we thought, why do they get to have all the fun? We bathe them, we raise them, we wipe their butts, so I think we deserve to get in on some of that too. One of our most popular articles this past year was our “How-to” guide to making a Watermelon Keg for Summer parties, so with the seasons changing, and Halloween coming up, let’s switch up those Watermelons for Pumpkins. 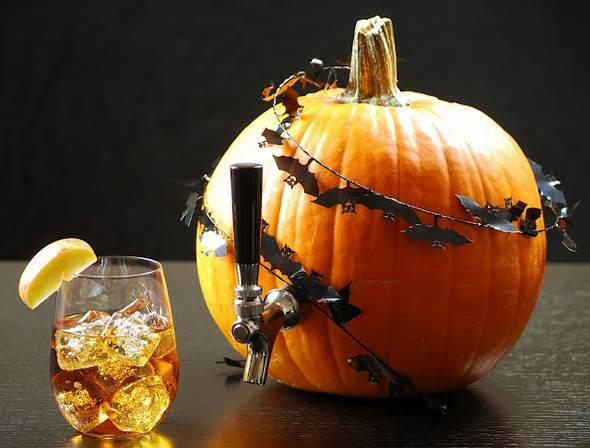 This is a quick and easy project that will help make your next Halloween party epic. Follow along with the video below and let us know how it went! Follow along below with this how-to video, provided courtesy of Sam Adams Brewery. Video courtesy of Sam Adams Brewery. Photos courtesy of SheKnows.